In this book, mathematical aspects of a population genetics are considered. On the basis of the Hardy – Weinberg law, the standard approach to population genetics problems is stated. Along with the standard approach, the necessity of separate research of family tree genetics and population genetics, which represent set of the family trees, is shown. Family trees are investigated by methods of discrete mathematics in a discrete time scale which is defined by alternation of generations. It is necessary to transit to a continuous time scale, continuous functions, therefore the Hardy-Weinberg law is written down in the form of the differential equation of the second order. Transition to continuous functions has allowed us to receive new and certainly not trivial results in population genetics. In particular, a new approach to problems of a mutations occurrence under radiation is discussed, of a new growths occurrence, and migrations of populations under various conditions to reveal nonlinear character of inbreeding and natural selection. The book can be useful to geneticists, students-biologists, post-graduate students and everyone who is interested in problems of population genetics. 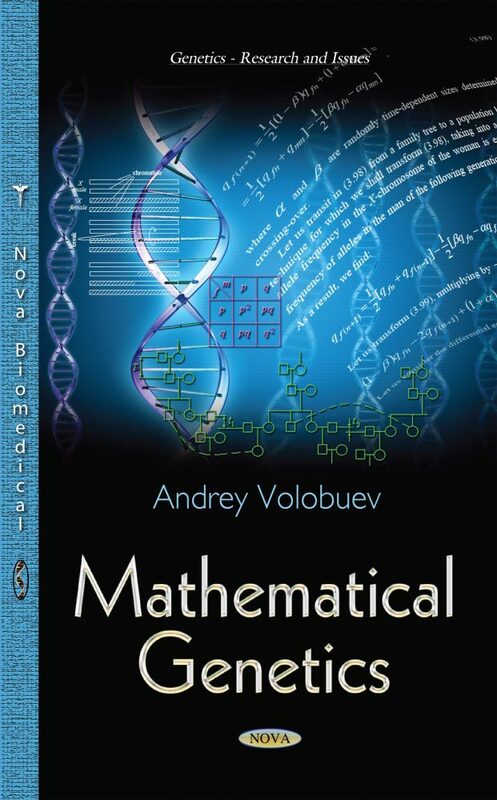 The book can be useful to geneticists, to students-biologists, post-graduate students and everything which are interested in problems of population genetics.